Cool Runnings at M&D Xmas 10 ! 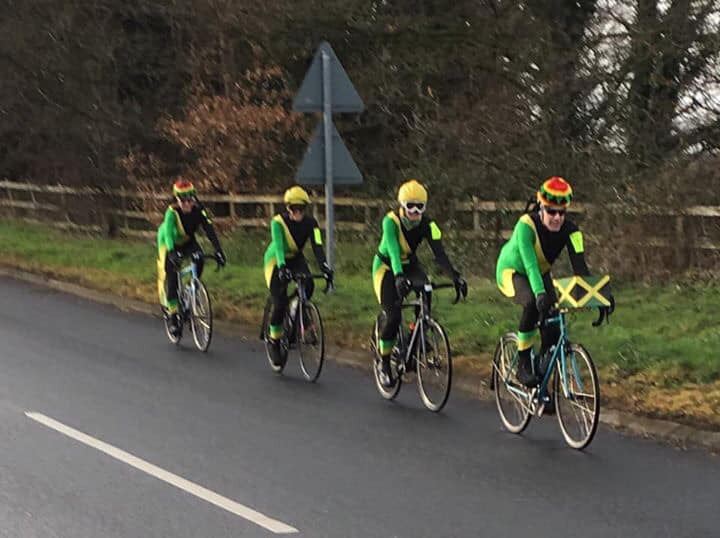 Brilliant showing by the Wheelers at the M&D Xmas 10m TT today: we had 13 riders in a field of around 80. Better still, it was prizes galore. 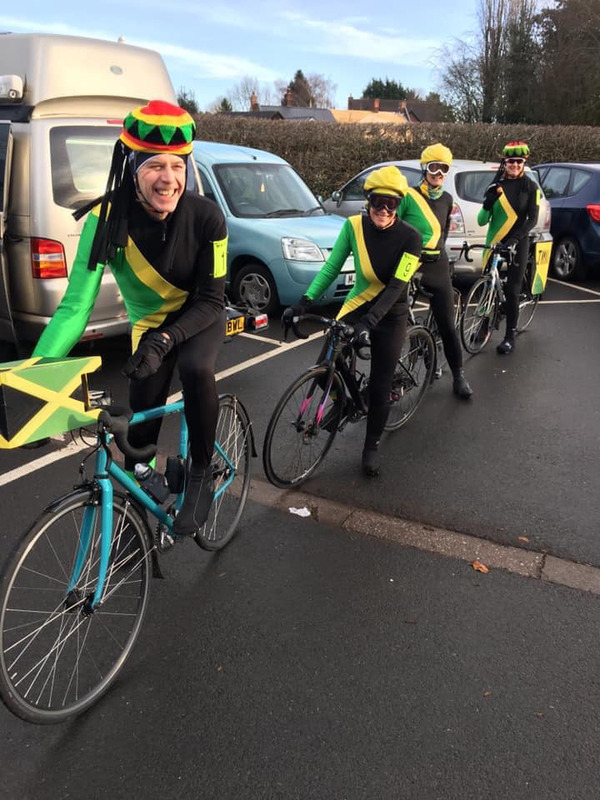 Mark, Jill, Rachel and Lynda won the fancy dress prize in their homage to Cool Runnings…as you’ll see below, it is difficult to tell the difference. They even transported the egg around safely. Ollie got the prize for best juvenile and Rob and Matt stormed in with a 23’ to win the tandem prize. Our other riders were: Roger, Andrew, Louis, Mark, Simon, Fred, Bhima and Matt Y. Top day out, and thanks to M&D for running the event.